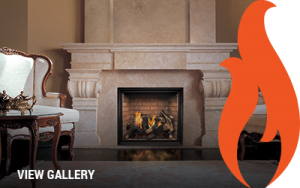 Our certified fireplace installers are experienced and follow industry best practices so that your installation is done right the first time. 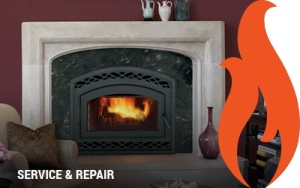 Our award-winning team of installers, technicians and support staff will ensure your fireplace is installed and maintained at peak performance. 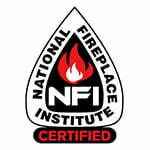 We will service almost any fireplace! For service on your gas or wood fireplace, please help us help you by providing us with the make, model and serial number of your fireplace. This information can be found in your installation/owner’s manual or under your fireplace where the valve is located. Without this information it is difficult to know if we would be able to service your fireplace or know what parts you may need. We love our gas stove! Stephan and Dustin did a wonderful job! United Brick & Fireplace were very informative on which gas stove we should buy. Stephan and Dustin installed the stove. A very neat job. I would recommend United Brick & Fireplace to anyone looking for a gas stove. Thank you! Andy was very helpful when we were buying our unit. Stefan and Tim did an excellent job installing the unit. We hit a minor snag where the faceplate wasn’t the right size when it arrived but the company worked with us to find a very good solution. We were making changes to the surround and there was confusion over what the final project would look like. It looks great and we have had not problems with the unit. Knocked off one star because of problems getting the work scheduled. We bought it in October and it was January before we were able to reach the scheduler to get the job done. I had to call multiple times. Not sure what the glitch in the work flow is that causes such delays. Would recommend company look at communications with customers so we feel we are being kept in the loop - perhaps email updates on order status, etc. would recommend to friends with caveat about patience and scheduling. We recently installed a fireplace in our home. We worked with Andy, and were very impressed with his knowledge and responsiveness throughout the whole process. When it came time to install the fireplace, Stefan and Tim did a great job! We couldn't be happier with our new fireplace! Love our new gas fireplace. They took out our old wood fireplace and replaced it with a gas one. we have used it every night. The guys were great, cleaned everything up and we done in 2 1/2 hours. Dave and Chase really know what they are doing. They work great together. Answered my questions along the way of the install. Andy put up with a lot of questions from me, he took the time to make sure i understood what they were going to do and what the finish product would look like. Staff was friendly when we wanted to put in a new fireplace and didn't know how to go about it. The prices were affordable and they did a great job on the install. We really enjoyed working with Andy from start to finish. The customer service was great, and everybody was very friendly. The prices were competitive, and we're thrilled with our new fireplace! We recently purchased a fireplace insert from United Brick & Fireplace. We worked with Andy from sales, who was so helpful. We communicated a lot through email and he was extremely prompt in returning my emails, answering my questions and giving me the best options for what I was looking for. I never felt pressured to make a decision. We also purchased the brick for our fireplace from the east side location and had another wonderful experience. Everyone at United Brick is friendly and helpful. I would highly recommend United Brick & Fireplace! I have and would recommend united brick and fireplace to all my friends. They helped me pick out a affordable gas insert that would fit in my existing wood fireplace opening. They installed the fireplace last year and i have had no problems since. Its wonderful not having to chop and deal with real wood. I will be contacting them again when I'm ready to update the stone and mantel. Thanks again! We could not be happier with the quality of our fireplace and the installers as well. Remember, installing a fireplace does not happen overnight.Be patient, plan about 3 to 6 months out and you will have a years of enjoyment out of your fireplace. It is definitely worth the wait. 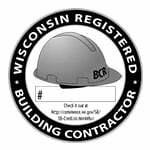 We’re proud to have a staff that’s prepared and up for the task thanks to several certifications and affiliations.